Recently, chia seeds (they are the same - the seeds of the Spanish sage) gained answered by a serious popularity. Overseas super-product was a revelation in the "world of healthy lifestyles and claims" and advanced :) ZOZhnikov wondering where to buy chia seeds, useful properties, recipes with chia, how to choose and "how to eat to lose weight." Я узнала о чудо-семенах около года назад и, конечно, как и многие, стала искать информацию, читать статьи и мнения «экспертов», чтобы понять наверняка, действительно ли семена чиа так полезны, как о них говорят. Тем, что нашла, и собственным опытом спешу поделиться с вами. I'll start with the fact that chia - is an annual herb native to Central and South is considered to be Mexico and Guatemala. Chia seeds a little bit similar to flax seeds, but the shape more like small beans with a shiny glossy finish. The beneficial properties of chia seeds is literally a legend, it is difficult to understand how the information is reliable. I gathered some data about the composition of the product and want to share with you. Thus, it is knownThat chia seeds contain 19-23% squirrel, 35% fat, 25% fiber. Rich in omega-3 (oil chia of about 64%, and it almost 2 times greater than in eggs and meat of salmon in 3 times greater than in cod liver and 40 times greater than in olive oil) . Кроме того, семена чиа содержат большое количество минералов, витаминов, антиоксидантов. По содержанию фосфора, магния, селена, кальция, калия этот продукт во много раз превосходит брокколи, шпинат, красную рыбу, бананы, отруби, бобовые и даже семя льна. Also, chia seeds - the best source of zinc, manganese, molybdenum, vitamin V1, V2, V3, ascorbic acid, retinol. A concentration of antioxidants in chia 2 times higher than in the same portion of bilberry or blueberry. Scientific evidence shows that the seeds have a positive effect on the body in anemia, allergies, hormonal disorders, cardiovascular diseases, metabolic problems and obesity. 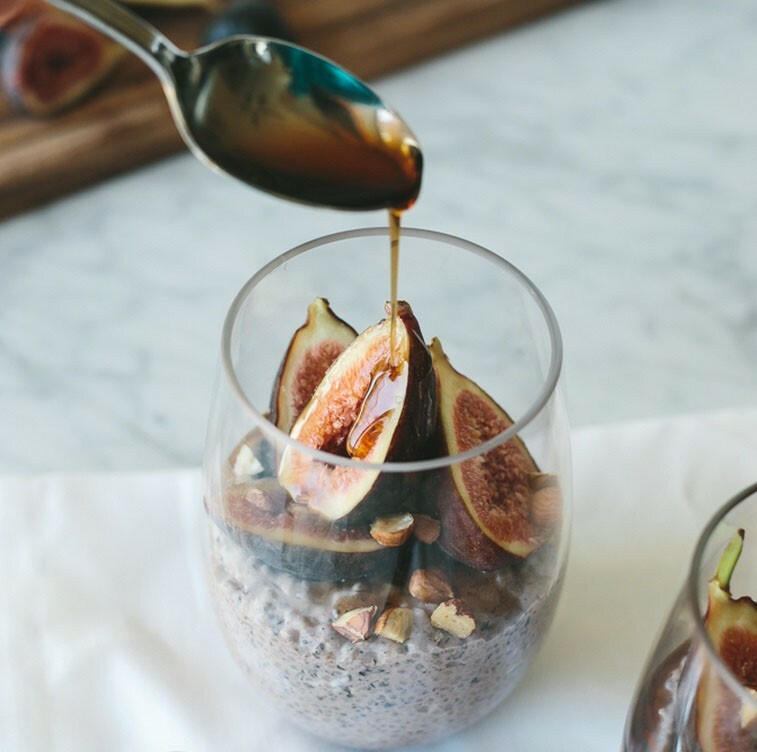 Numerous studies conducted in Canada (Toronto), have shown that chia seeds stabilize blood pressure and blood sugar levels (there is anecdotal evidence that using chia will soon be possible to treat diabetes of the second degree). Antioxidants contained in the seeds of chia, protect the body against cancer and cardiovascular disease. Scientists, cardiologists and physiologists from Italy, Canada, the United States and other countries have come to the conclusion that the seeds have a huge potential in the prevention and treatment of atherosclerosis, hypertension, stroke, myocardial infarction. Grains Chia has a powerful preventive and therapeutic effect on depression, epilepsy, Alzheimer's disease, asthma, multiple sclerosis, rheumatoid arthritis. Due to its ability to absorb large amounts of moisture (with the seeds grow in 10-12 times! ), Chia seeds give a feeling of satiety, preventing overeating. Therefore, they have become so wildly popular among dieters. Besides easily digested and normalize the gastrointestinal tract due to dietary fibers which improve intestinal motility, toxins. As regards the application, then all is simple. Most useful to use chia seeds in their raw form, without subjecting to heat treatment. Enough to fill 1-2 spoon seeds with water, milk, yogurt, juice, and a few minutes later, they swell and are ready for use. Seeds can also be added to the porridge, cottage cheese, yogurt, smoothies, sauces and desserts. They give the dish the consistency of pudding. Chia seeds can also germinate and added to salads. Chia seeds are recognized hypoallergenic product, but in spite of this, if you are prone to allergies, before their use is best to consult with your doctor. Due to the high content of dietary fiber chia seeds with excessive use can provoke abdominal distension / bloating. 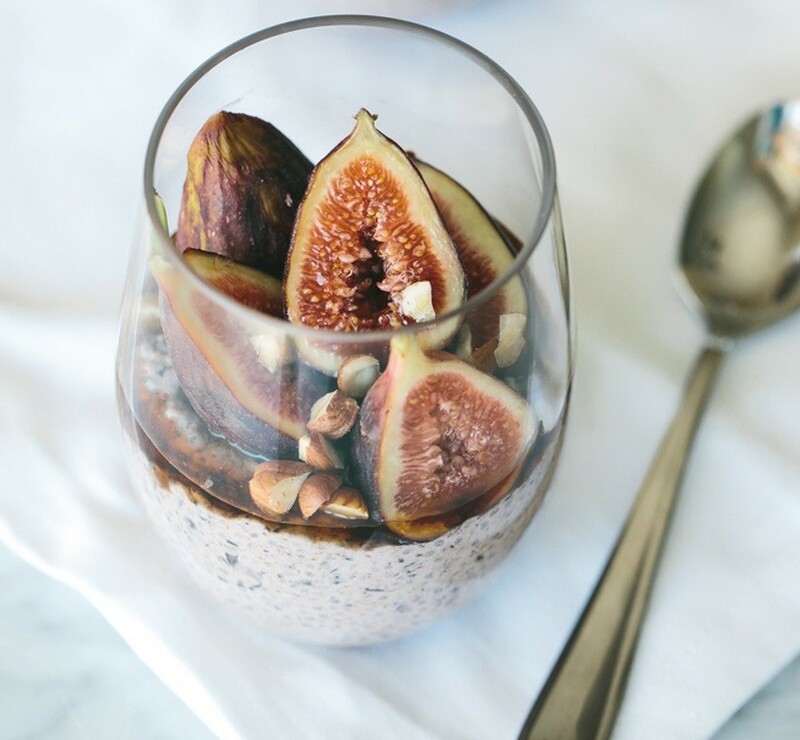 In any case, eating chia seeds, drink plenty of water (which is important when taking any dietary fiber). It is not recommended to use seeds while taking medications to lower blood pressure and blood thinners (so as not to provoke a "double" effect). There is no reliable data about the product overdose. So it is better not to use chia seeds over fixed daily allowance (1-2 tablespoons). honey / syrup - to taste. *It is also possible to use walnut / soybean milk. On the palate it will affect only the best. Oatmeal to cook according to the instructions (I recommend to boil 3-5 minutes, rather than simply steamed with boiling water, otherwise there will be the right consistency). Cool. In the bowl of a blender mix the porridge, bran, cheese, chia seeds, nuts, cinnamon and honey / syrup (if using). Beat until smooth (~ 1 min.). Cooked weight to shift in form and put into the refrigerator for a few hours (ideally - in the night). Before serving, decorate recommend oatmeal pudding, fruit, berries or chopped nuts.